Five days after the growth scan and I’m wondering if it is all sinking in now. I thought I had weeks and weeks to choose a pram, to knit some hats and to pack my bags. I might still have all that time. I might not. I keep forgetting. And then I remember and a hard ball of dread drops into my stomach. And sits there. Clawing it over again and again. Telling me it was a mistake to even think I could have a VBAC. A mistake to assume that things would go my way. And I keep waking up in a panic, thinking that the baby hasn’t moved in a while and surely that was a sign that it could already be too late. And why do they want to leave me until 34 weeks when clearly there is something wrong now? Or nothing wrong at all. And why would I want to risk a VBAC if there could be something wrong? But why would I not want a VBAC if this baby is perfectly healthy, and I am healthy too? And then sleep is never going to be on the cards. I don’t know if I have dreamt that baby’s movements have reduced, or if it is really happening. And so I lie and I prod my stomach below the ribs where I think the head is, and further down where the legs must surely be. And baby may or may not move and my heart may or may not slow to a normal pace. And on one hand I want ten more weeks of this and yet ten more minutes could be torture. It’s because I don’t know. I don’t know if all this panic is for nothing after all, or completely justified actually. I don’t know if this feeling of carrying a little ticking time bomb is right or not. I can only wait. And hope. And knit. And pack bags. And choose a pram. And things might be ok after all. I know I don’t know you personally but came across your blog a couple of months ago. I felt compelled to message you. No matter what anyone says or does it won’t stop you from worrying. At our 20wks scan there was a detection of an “abdominal abnormality” in our baby girl. From that first detection to the more detailed scan 2 wks later felt like one stood still. Google and the fears in my mind drive me crazy with worry and stress. Yet I knew I was the best protection for my baby. Monthly scans and appts with specialists at Great Ormond street would offer hope, clarification and yet more worry. I found that I couldn’t think past having this baby and making her well again. I resigned myself to a c-section; I just wanted our baby to have the medical care as soon as possible but we were in the hands of the medics. Induced at 38wks and delivered naturally (although I was drugged up to the eyeballs), our baby girl was born. We we’re transferred 14hrs later to GOSH where we placed our previous girl into the amazing hands of the doctors. She recovered remarkably quickly and although I was still racked with worry she grew and developed with hank fully no repercussions. She started reception class this week and her only knowledge of her shaky start to her life is a tiny scar which she knows that this is where the doctors made her tummy better. Im writing this so it gives you hope and faith. Faith in yourself that you are the best protector of your baby at this moment. Always trust your instincts and if in any doubt go to the hospital. Hope in that you will get through this difficult time and you are fortunate to research the details of your baby’s condition so that you can prepare yourself and family so that they can give you the best support when baby arrives. Trust in this and know that your baby is giving you the strength to help it. I always think of this saying when I feel panicky and full of dread and maybes!! “Go placidly amid the noise and haste and remember what peace there may be in silence”. Would you consider asking for a scan again this week to out your mind at ease? I wish I had words to comfort you. I know the agony of not knowing. With Dan, the docs haas us convinced he would have Down syndrome and a heart defect that would necessitate immediate surgery after birth IF he even survived. It was agony. And when I had my early emergency induction, I was terrified. But he was born without incident and perfectly healthy. It could easily have gone the other way, though. All you can do, and what you MUST do is take care of yourself. Eat the extra calories you need, keep active (but don’t overdo it), try to sleep enough. Reach out for help if and when you need it. And the best advice I can give is to talk or sing or play music for your little babe. 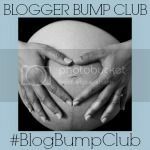 Interact and play with your bump and let the baby be soothed while you soothe yourself. I know it is hard. I can only imagine. But you’ve kept safe this long, and you are in good hands. Just keep swimming. It’ll all be ok. Things will fall into place. Caroline (BecomingaSAHM) recently posted..#GetGoodSummer -They think it’s all over, it is now!